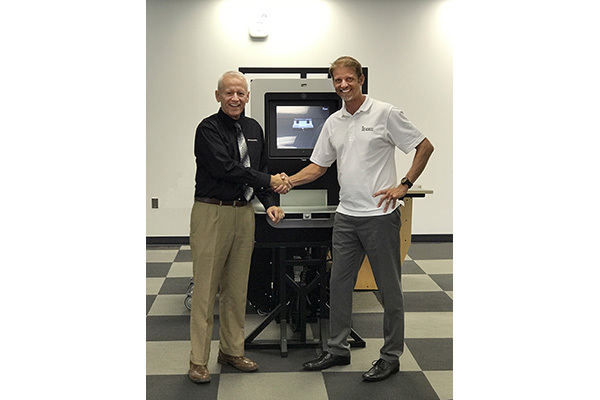 Atlanta, GA – Lyngsoe Systems and EnvisionWare announced today a partnership agreement to provide Automated Materials Handling (AMH) solutions to public libraries. Under the agreement, EnvisionWare will be a distribution partner for Lyngsoe Systems’ suite of Automated Materials Handling (AMH) products in the United States and Canada. The partnership extends EnvisionWare’s line of AMH solutions. Lyngsoe Systems is a global leader in designing and producing automated materials handling solutions for libraries of all sizes. The company specializes in custom tailoring their sorter configurations based on the unique needs of their customers. From a single branch location to a large library requiring high volume central sorters, customer needs are the core of every Lyngsoe Systems implementation, supported by a deep understanding of current and improved library processes. Headquartered in Atlanta, Georgia, EnvisionWare is privately owned and services over 10,000 libraries worldwide. EnvisionWare offers public libraries a full range of integrated self-service and library solutions, including RFID, AMH, self-service circulation, computer, print and scanning solutions, and EnvisionWare’s unique 24-Hour Library™. For more information about the distribution agreement between Lyngsoe Systems and EnvisionWare, please contact Cory McCoy, Lyngsoe Systems or Kathryn Miller, EnvisionWare, Inc.
Lyngsoe Systems has been a world leader in the field of cutting-edge electronic logistics control for over 40 years and leading within the radio frequency identification (RFID) technology. Renowned for innovation, out-of-the-box thinking and the ability to put ideas into practice. With extensive experience in supporting and enhancing library processes in the small library branch and in the central sorter facility, Lyngsoe Systems is meeting the needs of modern libraries with engineered flexibility. For more information about Lyngsoe Systems, visit www.lyngsoesystems.com.